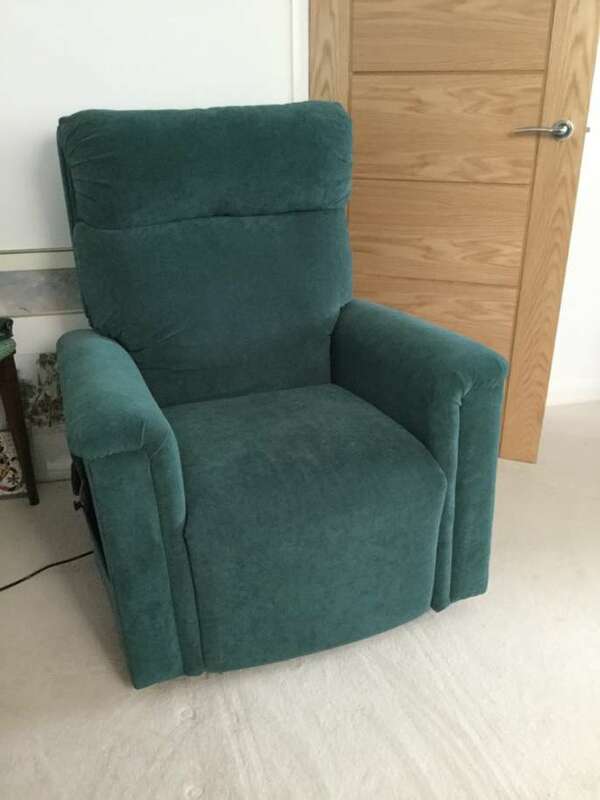 A fully reclining chair which also raises the occupant gently to a standing position. Green velour fabric. Excellent condition. Because of the motor the chair is heavy and would need 2 people to lift it in and out of a vehicle.